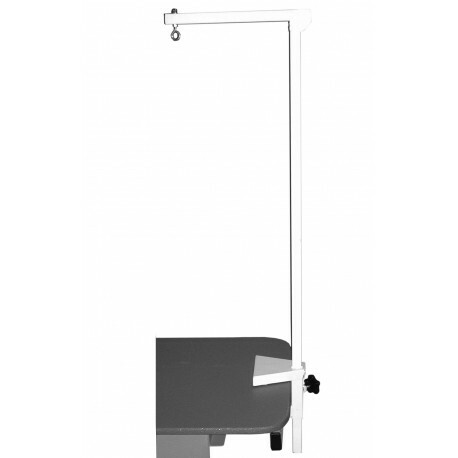 Edemco Heavy Duty Grooming Arm made with 1" heavy gauge steel and extra-heavy duty steel clamp. The top horizontal bar folds down for convenience. You can rest assured that this arm can handle the largest of breeds. F916 solid steel bar, adjustable at the clamp. Has the same clamp as the F917. Length: Adjusts up to 48"